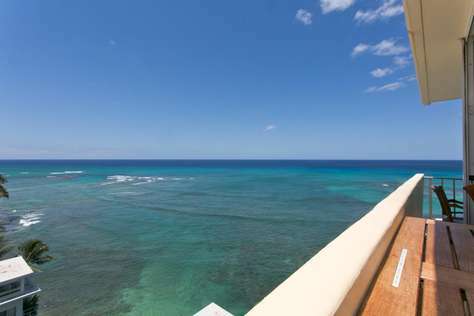 Affordable, Well equipped vacation rentals in Honolulu. 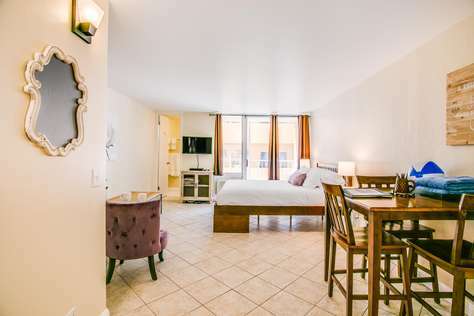 Suite 500 has everything you are looking for in a Waikiki studio – full bathroom with shower and tub, full size bed and futon,’induction cook top’ and microwave. 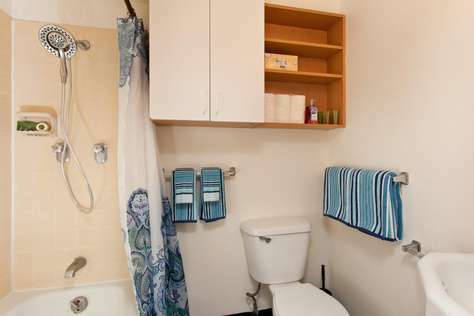 Regular Towels and Beach Towels are provided, along with guest amenity soap, shampoo and conditioner. 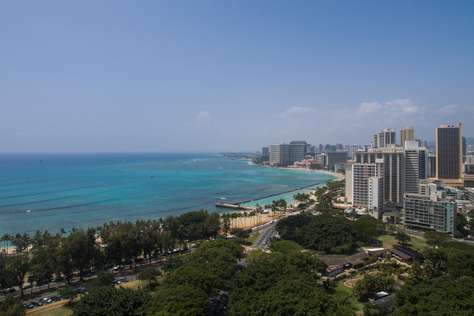 And most importantly the best location in Waikiki – One block from Waikiki Beach! This is an ideal place to spend two days or two months. Perfect for the active couple who wants to participate in the outdoor activities of the neighborhood … swimming, hiking, biking, ocean kayaking, surfing, tennis, jogging and more. The perfect affordable get-away. Outdoor activities are countless from this location. Restaurants and international shopping are bountiful nearby. Fast food to 5 star dinning is available. Enjoy the unique Kapahulu Ave. for dinning and shopping with the locals. 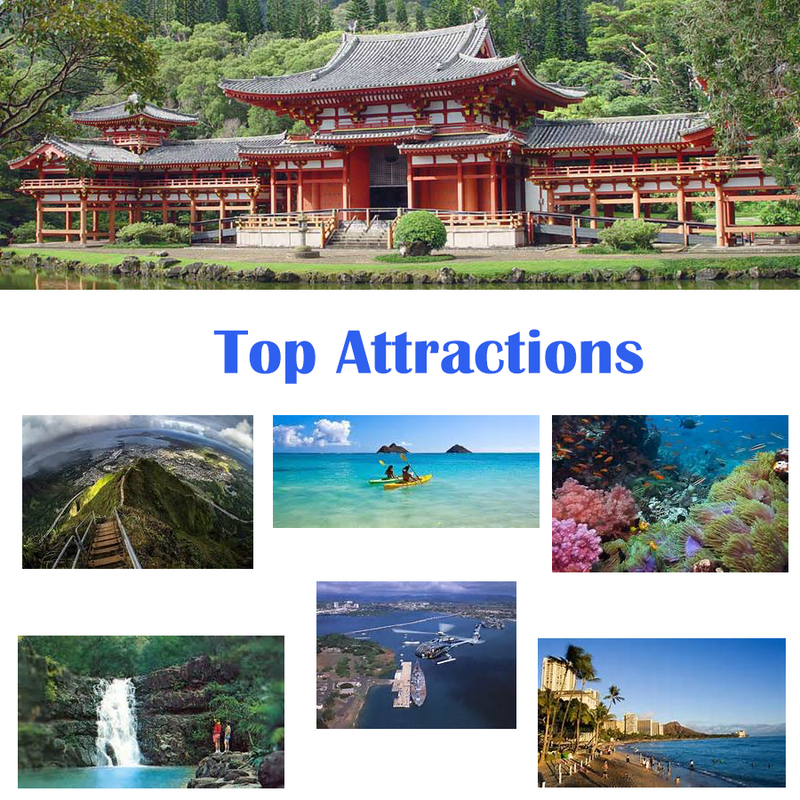 Hawaiian food, Hawaiian artifacts and Hawaiian clothing are all available within walking distance. 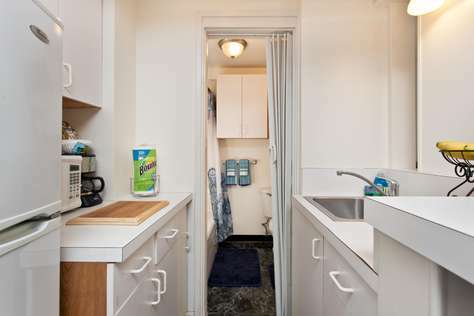 Two blocks from the public library and a botanical garden and short distance to Diamond Head theater or the Saturday Farmers Market at Kapiolani Community College. This property has 1 Queen(s). Cancellation policy: Cancellations must be emailed 60 days prior to check in date. If you email your cancellation 60 days before your check in date you will receive a full refund of your deposit. Cancellations within 60 days are subject to forfeiture of full deposit and any other monies you have paid for your dates that you have reserved. We will try to re-rent your dates reserved so that we can make a refund to you. A 30% deposit is required at the time of booking, with the balance payment due 60 days prior to arrival. Be the first to know about new additions to our portfolio of well equipped suites & Vacation Specials.